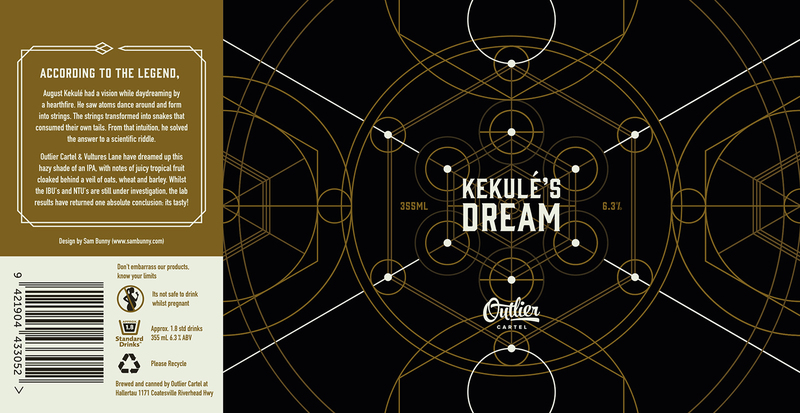 This week’s Fresh from the Field features the new illustrations and packaging design for Kekulé’s Dream by Sam Bunny and Outlier Cartel. 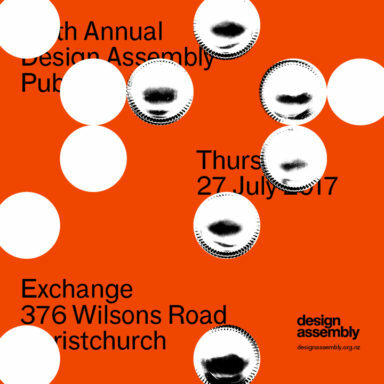 We’re delighted to have Outlier Cartel be a part of our 6th Annual Design Assembly Pub Quiz in Auckland. If you’ve got new or recent work that you’d like to share in our weekly Fresh from the Field series email Zoë for details. “According to the legend, August Kekulé had a vision while daydreaming by a hearthfire. He saw atoms dance around and form into strings. The strings transformed into snakes that consumed their own tails. From that intuition, he solved the answer to a scientific riddle. 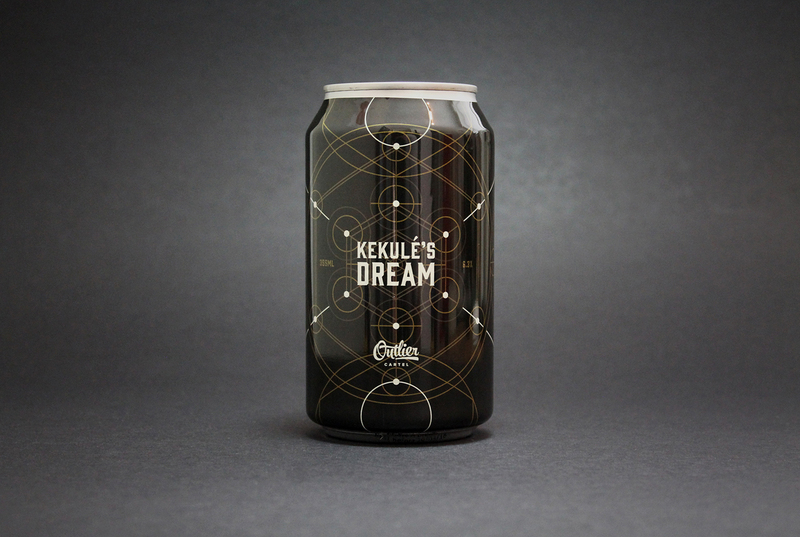 To design a beer can label for Kekulé’s Dream a lager being released by local Auckland based brewery Outlier Cartel. The lager was inspired by German chemist August Kekulé and how he found the structure of the organic molecule Benzene. 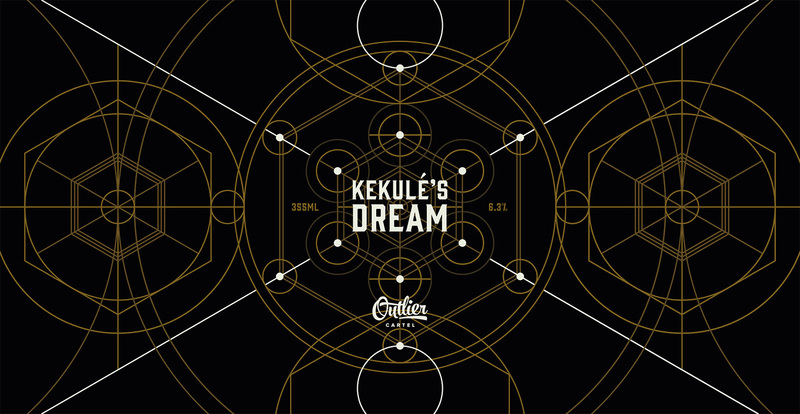 Legend has it, while daydreaming, Kekulé saw atoms dance around and form into strings which transmogrified into a snake that consumed its own tail to form the Ouroboros. Alchemy was the ancient science of transmutation. The Outlier Cartel always believed that they were Alchemists in the work that they do; combining their work with spiritual principles along with scientific know-how, and constantly experimenting with different flavours and aromas to bring both celestial and earthly flavours to your palette. After reading the brief, what captured me the most was Alchemy and the idea of this mysterious ancient science. There were a lot of ideas in the brief that I felt I wouldn’t be able to convey to the average consumer, so focused largely on Alchemy in a sacred geometrical style. Even if the idea wasn’t immediately obvious, then the feeling it provokes should be. Rather than jumping right into it, I put a lot of time into planning and sketching. 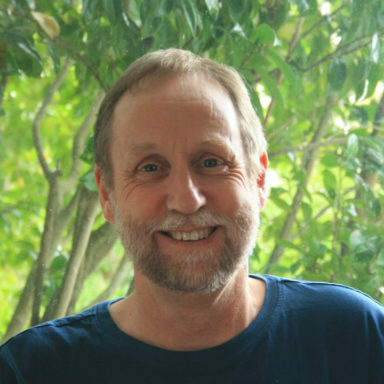 I needed to know that I could achieve my idea in a certain amount of time. Out of all of the possible options I had, the path I took was what I thought would be the the quickest, and come out looking the most refined.